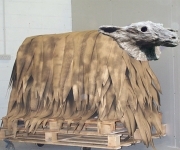 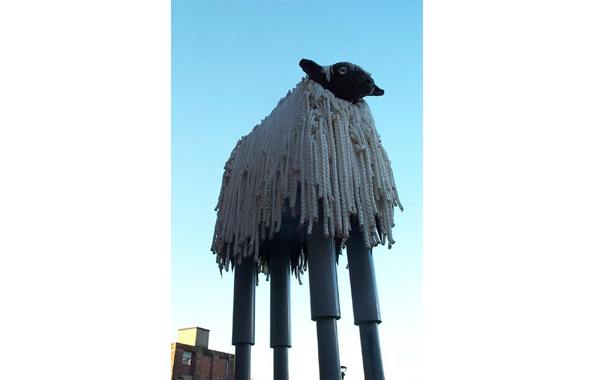 With a height of four metres and featuring illuminating blue eyes, ‘Sheep’ stands testament to the story about sheep that used to graze on the roof at neighbouring Temple Works, until one fell through a skylight. 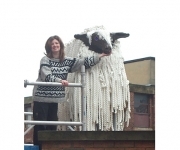 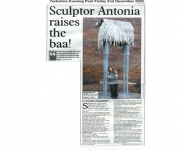 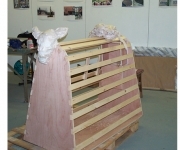 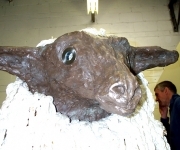 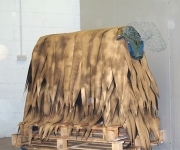 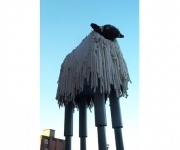 ‘Sheep‘ height, stature and materials relate to the history, engineering, labour and creative thinking of the area from the past through to present day. 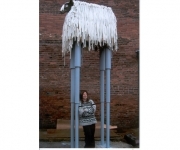 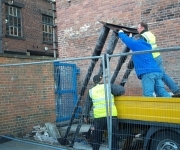 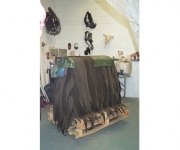 Commissioned by Igloo Regeneration for Marshall’s Mill Holbeck Urban Village, Leeds, UK.